Tampa Red is best known as an accomplished and influential blues guitarist who had a unique single-string slide style. His songwriting and his silky, polished "bottleneck" technique influenced other leading Chicago blues guitarists, such as Big Bill Broonzy and Robert Nighthawk, as well as Muddy Waters, Elmore James, Mose Allison and many others. In a career spanning over 30 years he also recorded pop, R&B and hokum records. His best known recordings include the "classic compositions 'Anna Lou Blues', 'Black Angel Blues', 'Crying Won't Help You', 'It Hurts Me Too', and 'Love Her with a Feeling'". 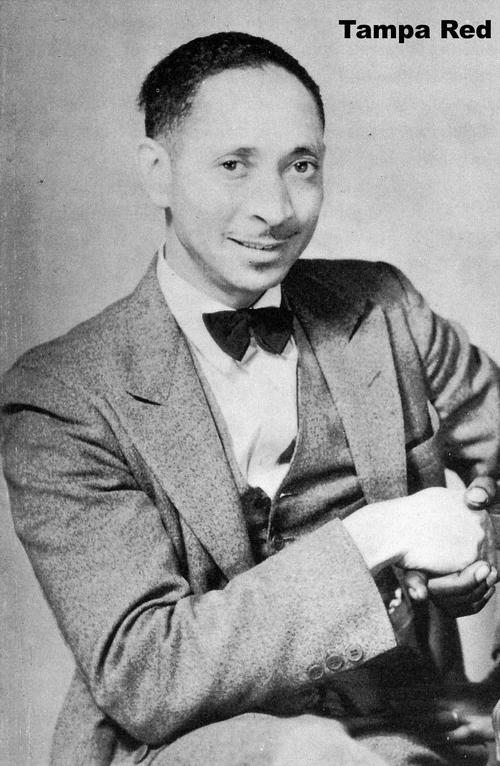 Slide guitarist Tampa "Red" Whittaker, born in Smithville, Georgia, was raised in Tampa, Florida, and became one of the most prominent blues musicians in Chicago, Illinois, during the 1930s and 1940s. Though little known today, he was a popular and influential performer whose recording career extended from 1928 to 1960. Born Hudson Woodbridge on January 8, 1904, in Smithville, Georgia, he was raised in Tampa, Florida, by his grandmother's family, the Whittakers, whose name he adopted. He was already known as Tampa Red when he arrived in Chicago in the mid-1920s, fresh from the southern theater circuit. He worked a day job but played guitar on street corners and in clubs, looking for a break. It came when he was hired to accompany Gertrude "Ma" Rainey, through whom he met pianist Georgia Tom Dorsey. In 1928 Tampa Red and Georgia Tom recorded "It's Tight Like That." A jaunty, ragtime-influenced number with whimsically bawdy lyrics, it was a national hit on the Vocalion label. Tampa Red and Dorsey recorded several successful follow-up songs as the Hokum Boys, and the "hokum" style became a depression-era fad. Such early recordings demonstrate Tampa Red's already sophisticated slide guitar technique. Playing a metal-bodied National Tricone guitar and sliding a bottleneck along the strings, he created a clear and pure sound, marked by deft single-string solos. His session work appears on many recordings by other artists, including Sonny Boy Williamson and Memphis Minnie. His urbane musicianship stood in sharp contrast to earlier slide-guitar blues and would help set the direction for the postwar style. In 1928, Tampa Red became the first black musician to play a National steel-bodied resonator guitar, the loudest and showiest guitar available before amplification, acquiring one in the first year they were available. This allowed him to develop his trademark bottleneck style, playing single string runs, not block chords, which was a precursor to later blues and rock guitar soloing. The National guitar he used was a gold-plated tricone, which was found in Illinois in the 1990s by music-shop owner and guitarist Randy Clemens and later sold to the "Experience Music Project" in Seattle. 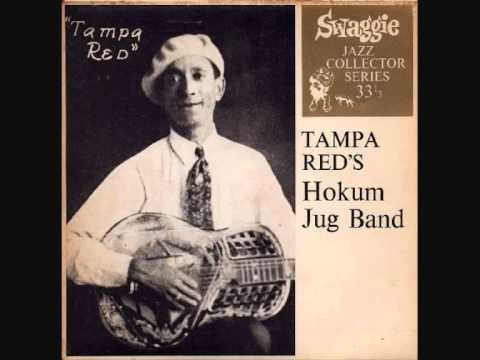 Tampa Red was known as "The Man With The Gold Guitar", and, into the 1930s, he was billed as "The Guitar Wizard". By the 1940s he was playing electric guitar. In 1942 "Let Me Play With Your Poodle" was a # 4 hit on Billboard's new "Harlem Hit Parade", forerunner of the R&B chart, and his 1949 recording "When Things Go Wrong with You (It Hurts Me Too)", another R&B hit, was covered by Elmore James. He was 'rediscovered' in the late 1950s, like many other surviving early recorded blues artists such as Son House and Skip James, as part of the blues revival. His final recordings were in 1960. Tampa Red was one of the most prolific blues recording artists of his era. It has been estimated that he recorded 335 songs on 78 rpm records, with 251 recorded between 1928 and 1942, making him the blues artist with the most recordings during that period. 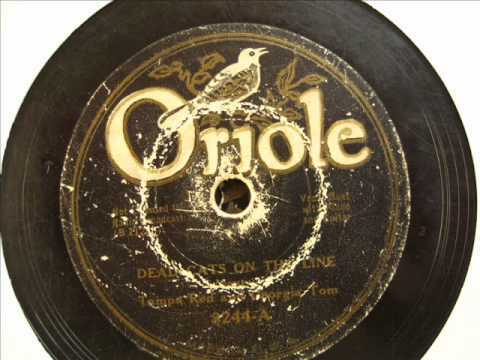 The bulk of his singles were released before Billboard magazine began tracking blues (and other "race music") in October 1942 and accurate sales records are not available. However, Red had four singles that placed in the R&B top ten between 1942 and 1951. 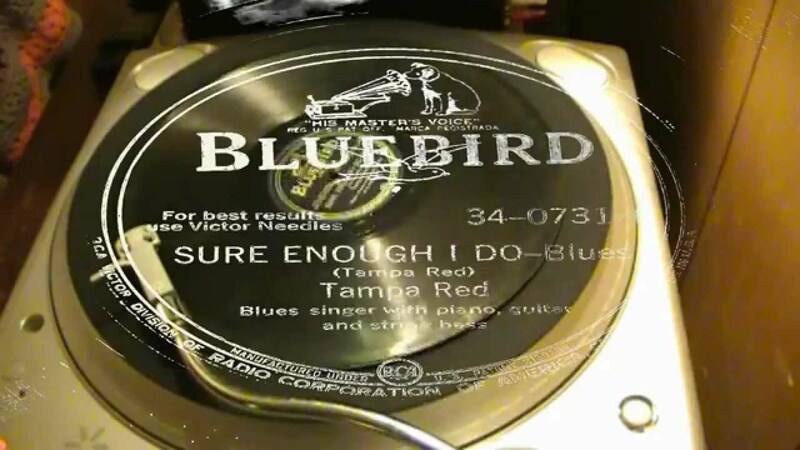 In 1928, Tampa Red became the first Black Blues artist to record with a National steel resonator-type guitar, which eventually became one of the classic blues instruments. Shortly afterwards, a parade of National players followed on 78, all of whom are among the early Blues elite. That group included Tampa Red, Son House, Bukka White, Bo Carter, Blind Boy Fuller, Walter Vincent (who was with the Chatmon Brothers), Peetie Wheatstraw, Scrapper Blackwell, Bumble Bee Slim, and Black Ace. Oddly enough, Tampa Red didn't play the type of music most Blues fans associate with the National Steel bodied guitar. His music was smooth and sophisticated, using playing techniques (such as string damping) which were quite advanced for the era. Lyrically, he often did novelty numbers that contained double-entrendres, which can make his music seem slight at times to the modern listener. However, a fairer statement would be that the blues songs of today are often lyrically narrow, and artists avoid the risqué sense of humor that a generation of young Black males and females enjoyed back then. In other words, you're not going to hear many Blues artists singing about putting their juicy wieners into hot buns these days. Which is sad in a way? In contrast to the smooth styling’s of a Tampa Red were the harder Delta sounds of Son House and Bukka White. Both were artists who didn't do well commercially in the 20's, but created music that 60's folk and rock audiences related to. Powerful rhythm’s and vocals, with intense slide work adding a second voice. In the case of Bukka, a definite precursor to the later Bo Diddley Beat. The interesting thing is that all of the above played the same type of guitar, but with some important differences. The model Tampa used was called a "Tricone" and Son's was called a "single resonator" type. Each had a distinctive characteristic (aside from being incredibly loud) that suited each particular player.